Born in Scotland in 1966, Gordon Ramsay left behind an early athletic career to become a renowned chef in London. By the early 2000s he was making his mark on British TV as the temperamental host of Ramsay&apos;s Kitchen Nightmares and Hell’s Kitchen, shows that made a successful transition to American audiences. The award-winning chef has since expanded his celebrity brand via such programs as MasterChef and Hotel Hell and opening more restaurants around the globe. 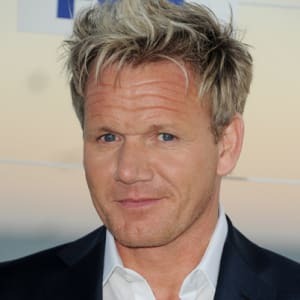 Gordon James Ramsay was born on November 8, 1966, in Glasgow, Scotland and raised in Stratford-upon-Avon, England, after he moved there with his family at the age of 5. Ramsay&apos;s first love was soccer, and he set his sights on a professional sports career. At the age of 15, the talented Ramsay joined the Glasgow Rangers, a pro club. His time with the team spanned three years, until 1985, when a knee injury prematurely ended his career. Forced to start over, Ramsay returned to school, earning a degree in hotel management in 1987. After finishing his studies, Gordon Ramsay placed himself under the direction of some of Europe&apos;s top chefs. He apprenticed with Marco Pierre White at Harvey&apos;s in London, worked for Albert Roux at Le Gavroche, and then worked under master chefs Joel Robuchon and Guy Savoy in France. In 1993, Ramsay struck out on his own as head chef of the newly opened Aubergine in London where, over the course of three years, he earned the restaurant a two-star rating from Michelin. More personal prestige followed in 1995, when Ramsay was awarded Newcomer of the Year at the prestigious Catey Awards, an Oscars-like event for the restaurant and hotel business. When the restaurant&apos;s financial backing became shaky, Ramsay left Aubergine and opened his own establishment, Restaurant Gordon Ramsay, in 1998 in London. Hailed as a destination for high-end foodies, the restaurant eventually received a three-star rating from Michelin. The next several years proved to be a whirlwind for the ambitious, hard-driving and temperamental Ramsay. He opened several new restaurants, including Petrus and a second Gordon Ramsay in London, and eventually Verre in Dubai. Named Chef of the Year at the 2000 Catey Awards and Independent Restaurateur of the Year in 2006, Ramsay brought his restaurant business to the U.S. in 2006 with the opening of two establishments at The London NYC. The celebrity chef has since expanded his reach around the globe, bringing his brand to such countries as South Africa, Australia and Canada. Gordon Ramsay&apos;s migration to television began in 1996 with his appearance as a judge on the BBC competitive cooking show MasterChef. 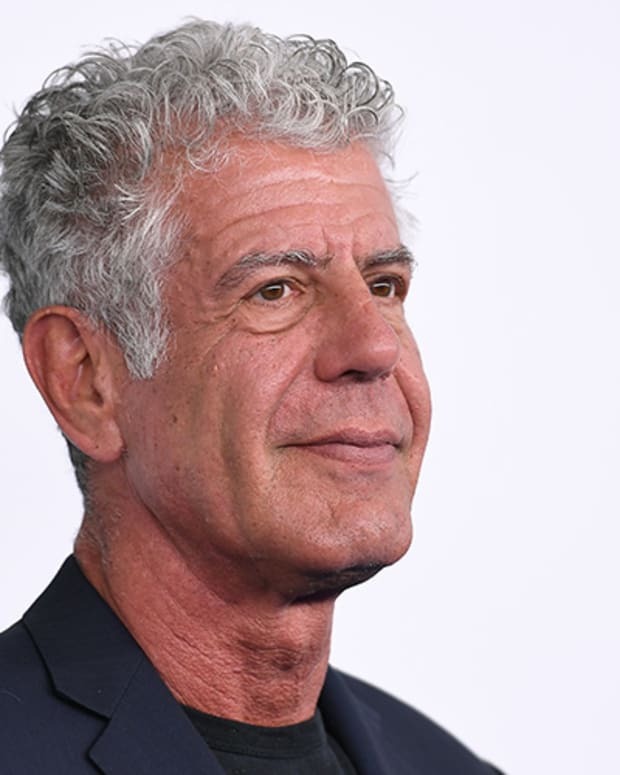 In 1999, he was the focus of a British documentary miniseries, Boiling Point, which tracked his working life as he opened his first restaurant. The success of that documentary spawned a follow-up miniseries, Beyond Boiling Point, in 2000. Ramsey was tapped to host two programs in the spring of 2004: In Ramsay&apos;s Kitchen Nightmares, he sought to turn around failing restaurants, and in Hell’s Kitchen, he ran a cooking competition among 10 celebrities, with audiences voting off contestants. With reality television in full bloom in the U.S., the time was ripe for Ramsay to make his move across the Atlantic. In May 2005, an American version of Hell&apos;s Kitchen, which placed aspiring restaurateurs under the intense eye of the show&apos;s host, debuted on FOX. Like their British counterparts, American audiences learned to love and hate the abrasive chef as he narrowed the field of participants down to one final winner. Meanwhile, he launched another culinary series back in the U.K., The F Word. Ramsay’s strong ratings on U.S. screens opened the door for an adaptation of Kitchen Nightmares, which debuted in September 2007. That, in turn, led to the American productions of MasterChef (2010) and MasterChef Junior (2013), with Ramsay heading the group of judges. In 2012, he added another show to his schedule, a variation of his “save a failing establishment” theme with Hotel Hell. Along with his work on TV and in his restaurants, Ramsay has written more than 20 books. His various businesses have been consolidated into Gordon Ramsay Holdings Limited. Honored for his impressive record of achievement, Ramsay was named Officer of the Order of the British Empire in 2006. In 2013, he was inducted into the Culinary Hall of Fame. Ramsay married schoolteacher Cayetana Elizabeth "Tana" Hutcheson in 1996. They have four children: Megan, twins Holly and Jack, and Matilda. In 2014, the couple established the Gordon and Tana Ramsay Foundation to help support the Great Ormond Street Hospital Children’s Charity. 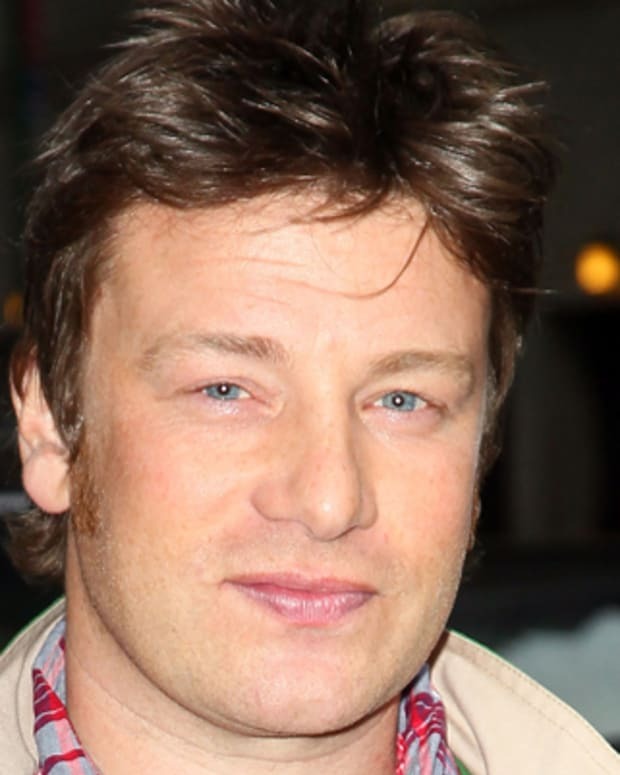 Jamie Oliver is a British chef best known for his television series The Naked Chef and for campaigning for healthier diets in school children. Celebrity chef Rachael Ray has hosted Food Network shows, authored lots of cookbooks, and has her own nationally syndicated television talk show, Rachael Ray. 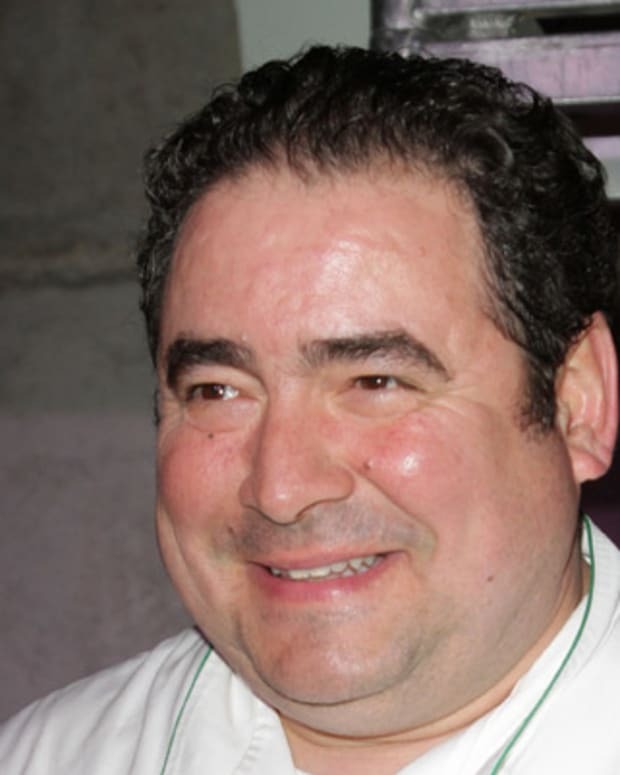 Emeril Lagasse is a celebrity chef best known as the host of the television show Emeril Live, his lines of products and restaurants, and his catchphrases. 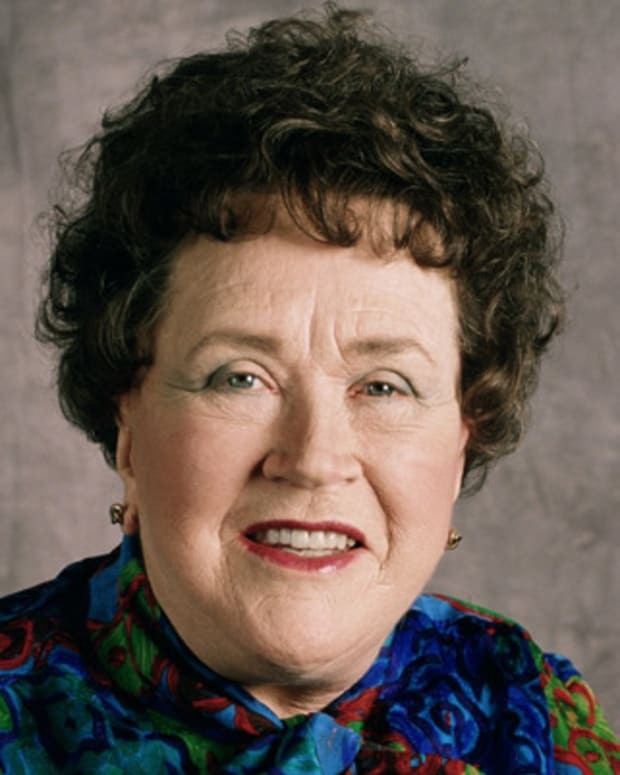 TV chef and author Julia Child adapted complex French cooking for everyday Americans, with her groundbreaking cookbook Mastering the Art of French Cooking. 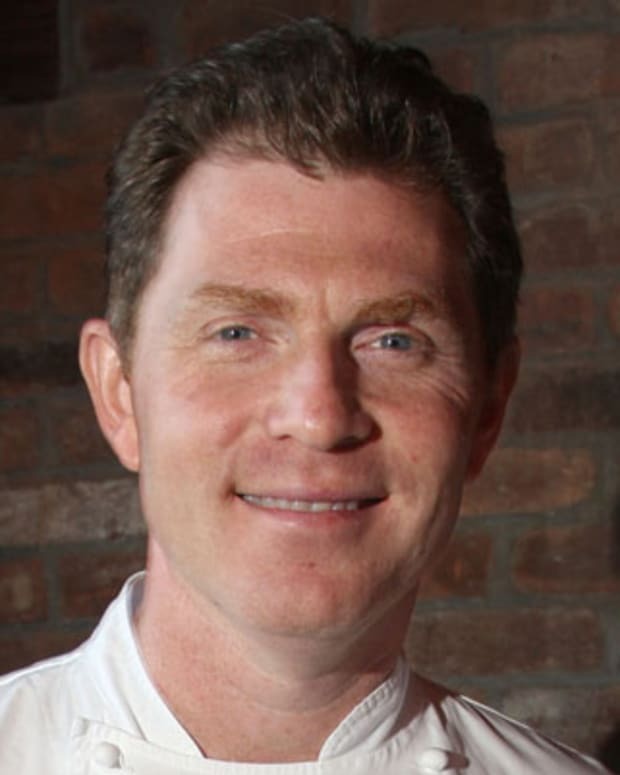 Bobby Flay's frequent appearances and shows on the Food Network have made him one of America's best-known chefs. Giada De Laurentiis has won over TV audiences with her appetizing and accessible cooking shows, including Everyday Italian and Giada at Home. 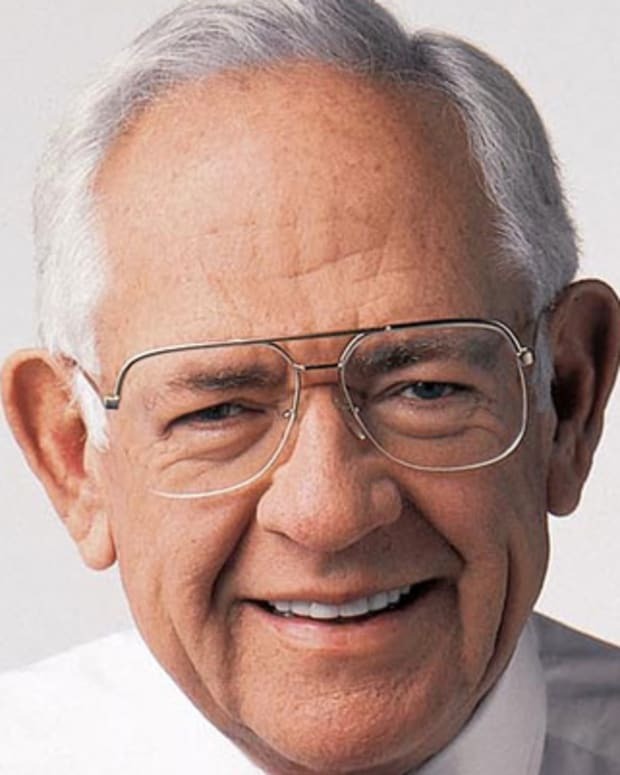 Dave Thomas is best known for founding the Wendy's hamburger restaurant chain. He became the company's TV spokesman in 1989.